At Koger Cosmetic Clinic & Medspa, we see our clients as more than a one-time surgical patient. We see the symmetry and harmony of your features – the texture and tone of the skin, the arch of the brow, and more importantly, we consider how these characteristics influence one another and come together as a whole. By looking at someone in totality, rather than one aspect at a time, we can deliver a total aesthetic approach to appearance enhancement. Dr. Koger is a native Floridian, born and raised in Orlando. He completed his undergraduate studies at the University of Florida and graduated with a Bachelor of Science degree in microbiology. Dr. Koger earned his doctorate of medicine at Duke University School of Medicine. Dr. Koger is board-certified by the American Board of Plastic Surgery. He is an active member of the American Society of Plastic Surgeons and of the Palm Beach County Society of Plastic and Reconstructive Surgeons. He is a staff member in the Department of Surgery, Division of Plastic Surgery at Jupiter Medical Center and Palm Beach Gardens Medical Center, as well as Jupiter Outpatient Surgery Center. Facial surgery aims to correct flaws of the face, nose, ears, chin, and other features. These changes may be dramatic or subtle based on your individual needs and desires. Breast enhancement includes procedures that address small breast size, overly large breasts, reconstructive procedures after mastectomy, and other common concerns. 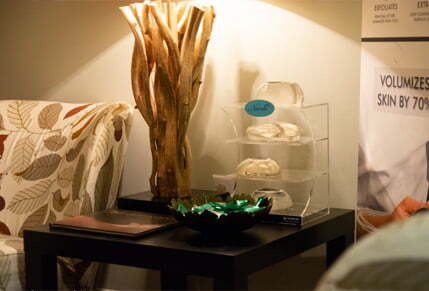 Medspa treatments combine the relaxing environment of a spa with the amazing results of non-surgical cosmetic procedures. The goal is to revitalize your skin and overall appearance. Body sculpting modifies and enhances specific body parts, providing a slimmer, more toned appearance as well as a boost your self-confidence. We offer several non-surgical treatments that provide exceptional cosmetic results while avoiding the downside of surgery and a potentially long recovery time. 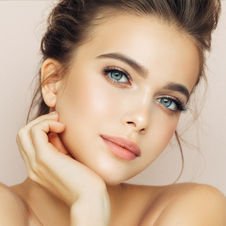 The 20s are a great time to enhance the body through procedures such as breast augmentation, lip augmentation, or dermal fillers and injectables. By your 30s, you should consider a mommy makeover, tummy tuck or breast lift to restore your pre-pregnancy body, along with continued dermal fillers and injectables. The 40s are the perfect time to schedule a facelift or neck lift and chemical peels to rejuvenate your skin. In your 50s, many individuals have eyelid surgery, sclerotherapy for facial spider veins or liposuction. If you’re from out of town, we have outlined various airports and accomodations around our office for your convenience! Jupiter Plastic Surgeon Explains Dermalinfusion® 101: What’s in Your Waste Jar?